An insane passion for a mysterious woman who, in the opera, is never shown. Federico wants her desperately, dreams of her, suffers for her, and step by step his mind begins to waver. The people around him try in vain to prevent this love from becoming a damning obsession. This is a rare opera by the great Italian composer Francesco Cilea. Its famous aria 'Il lamento di Federico' has always been a favourite with tenors of all times. This recording also features the aria for tenor, 'Una mattina', written by Cilea for the opera’s first version and then lost, here in world première recording. 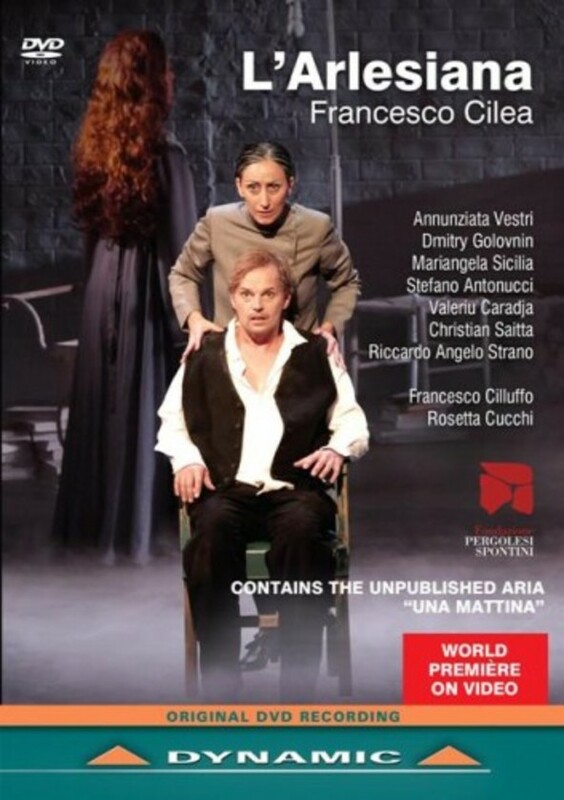 Directed by Rosetta Cucchi, a coproduction Teatro Pergolesi and Wexford Festival Opera. L’Arlesiana is a world première on video.